Bodum was founded in 1944 in Denmark. Their concept focuses on functionality, quality and affordability. Their salt and pepper sets are contemporary in design and are available in various colour options. 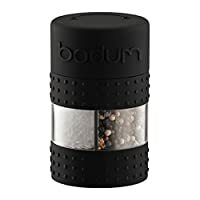 If you want to add some style to your table then Bodum salt and pepper sets are the choice for you.